When it comes to the big move, packing is an equally big job that takes a lot of time and preparation. Fortunately, there’s a few tricks out there for homeowners to use to help make packing a little more manageable. Here are seven tips for packing to move to a new home that any homeowner can use. As soon as the homeowner is sure they’re going to put the home up for sale, they should start packing their things away. Not only does this mean they’ll have less to do later on once the deal has gone through, but it’s also a good way to sort through possessions in order to weed out things that should be gotten rid of, which can declutter the home and make it look cleaner for buyers. Packing is a big job, but a good strategy for making it more manageable is to focus on one room at a time. This can make packing seem less daunting of a task when compared to jumping around from room to room doing random things. Try starting with small rooms that aren’t used very often like closets and guest rooms, then work up to the busy areas. It’s common for people to have at least one or two suitcases hiding away in a closet for vacations and weekend getaways. When moving, put those suitcases to use by filling them up with clothes and other small items. This can make transporting those things easier, as suitcases are designed to make carrying things as easy as possible. No matter how good a moving company’s reputation, there’s always a chance that things can go missing when no one is looking. To prevent loss, homeowners should be sure to keep things that are especially valuable on hand during and transport it themselves. Items that homeowners should consider keeping close by are things like legal documents, jewelry, family heirlooms, and even certain fragile things that may be damaged in a crowded moving truck. It’s a wise move to invest in a few Sharpie markers before packing. 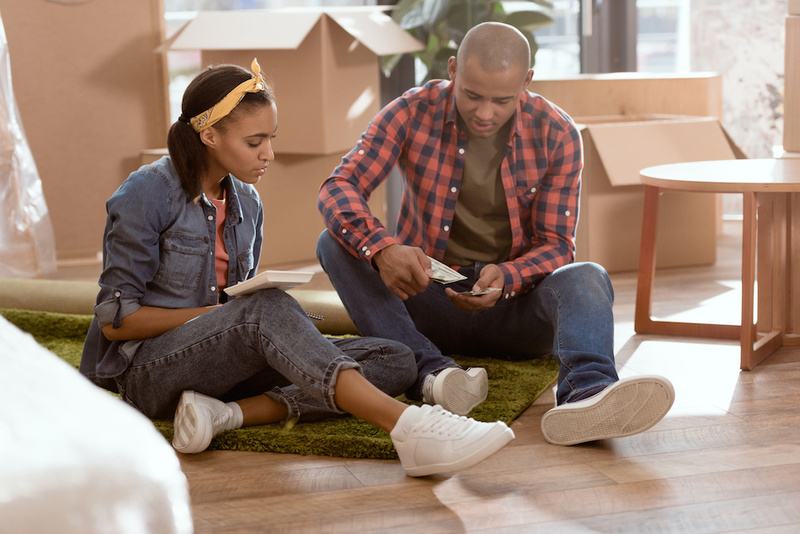 Labeling boxes is important and helpful for two reasons: One, it helps the homeowners know which of their possession are in which box; and two, it can help the movers know where to put the things when they’re bringing them into the new home. This is especially necessary for long-distance moves that will take longer than a day. Make sure to separate things like clean clothes, medications, snacks, and other necessities for long car rides. No one wants to get into their car for a two-day road trip across the country only to realize they’re going to be stuck in the same clothes until they arrive at the new home. Many homeowners assume that the fewer boxes used, the better, because it makes for fewer trips and more manageable numbers. However, this is a common pitfall because what those homeowners often don’t take into account is that big boxes are extremely heavy. Using 50 small boxes may seem like a lot, but when each large box is pushing 70 pounds, it’s clear that even though small boxes may mean a bit more leg work, they also mean the people moving them won’t be in harm’s way. Moving may be a lot of work, but it doesn’t have to be chaotic. By following these seven tips, any Madeira Beach homeowner can help make their big move run as smoothly as possible.